When water begins flowing into your OC home from a burst pipe, broken water heater, or overflowing toilet – and you need a plumber now; call us at (949) 371-8413. We have a highly skilled and experienced emergency plumber ready to assist you with any unfortunate plumbing situation, 24 hours a day. We are the preferred 24 hour plumbing service residents count on, because we understand that water emergencies don’t usually wait for the most convenient times. Our plumbers are fully licensed and capable of handling nearly any area of emergency plumbing repair and can be on site anywhere in Orange County within an hour. Running water from leaks or backups not addressed immediately can quickly lead to additional damage to the foundation, flooring, walls, ceilings and more. 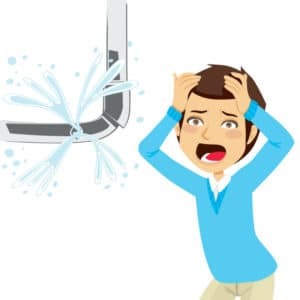 Some of the most common reasons why homeowners call an emergency plumber include severely clogged drains and toilets, broken pipes & leaky plumbing fixtures, as well as issues with natural gas pipes. Depending on the severity of your unique situation, you may or may not be able to put off the problem until morning when the rates may be a little cheaper. Don’t hesitate to give us a call & we will be happy to help you make an informed decision. Our many years of experience coupled with state of the art equipment, allow us to quickly and efficiently solve plumbing emergencies at an affordable price. Our vehicles are stocked with the highest quality materials and supplies, so that we can assess the problem and get to work on fixing it immediately upon arrival. We pride ourselves on customer satisfaction and have shown our customers time and time again that our plumbers will get the job done right the first time. Even if you don’t currently have a plumbing emergency in your home, the chances are good that you will have one at some point. The plumbing systems in Orange County homes are getting older every day, and the best way to help avoid large emergencies is to have us perform a periodic plumbing inspection. Our experts will highlight items that are in poor condition that you may not be aware of, which may help prevent a major catastrophe down the road. Trust our many years of expertise to fix your emergency plumbing issues & also help you prevent such emergencies where possible. For immediate 24/7 emergency plumbing assistance, contact us at (949) 371-8413.